This notion isn’t helped by the fact that Levine has spent little time using the familiar languages of psychotherapy in favor of the subtle and mysterious language of the body and its sensations, a language few of us have been trained to understand. Was he guided by some therapeutic master plan, or just his moment-to-moment intuitions? Why did he make the choices he did? Levine is clearly practiced at what he does, but at the end of his session with TJ, we’re still left asking, who is this guy, really? And what is he doing? And why, with all the other ways we have to work with trauma, is his approach suddenly such a big deal to practitioners, who are clamoring for his trainings? Whatever you think about body psychotherapy and those considered masters of it, like Peter Levine, there’s no denying that today it’s achieved a once-unimaginable place of acceptance in the wider field of psychotherapy. Indeed, Levine and other body therapists have worked hard for decades to overcome skepticism about the value of somatic methods that began long ago in reaction to Wilhelm Reich, a one-time deputy director of Freud’s outpatient clinic, who emphasized Freud’s view of unconscious drives and brought his own highly controversial approach to engaging the body in the therapy room. Reich, before he died in a Penn­sylvania prison while doing time for mail fraud, was an early proponent of the idea that our musculature and body postures were shaped by the unexpressed emotional residue of traumas—a belief, by the way, that’s since become an integral part of today’s trauma work. But Reich took work with untapped bodily and sexual energies to extremes that trampled professional boundaries. To break through the psycho-emotional armor of their bodies, he periodically asked clients to undress, sometimes fully, so he could vigorously massage them. He explained that repressed memories from childhood could be retrieved this way, but he also sometimes set having orgasms in sessions as a goal. Reich had a tumultuous personal history, including a sexually precocious childhood, a mother who killed herself after Reich had told his father about her affair with his tutor, and a history of affairs with his patients, one of whom died in a room she’d rented for their clandestine meetings. He was also widely pilloried for inventing the so-called “orgone accumulator,” an insulated box about the size of a Port-a-Potty that he claimed could accumulate free-floating sexual and cosmic energy and even potentially cure cancer for the person sitting inside. Years later, he achieved a kind of dubious postmortem popularity when orgone-like vessels were included for comic effect in the films Barbarella and Woody Allen’s Sleeper. Despite the controversy, Reich had his defenders—especially in the United States, where he moved before World War II—who were taken with the cathartic intensity of his approach and his almost mystical claims of being able to release “blocked energy.” In fact, bioenergetic therapy, which promotes cathartic physical and emotional release through touch and movements like kicking and pounding, was started by two students of his, Alexander Lowen and John Pierrakos, and is still practiced today. Nevertheless, thanks to Reich’s controversial methods, many body-oriented therapies that sprang up after him got off to a rough start. Even now, something odd and disreputable lingers over mind–body approaches that seek to offer clients cathartic release. Professional ethics aside, however, Reich’s emphasis on the role of the body in our emotional lives, after many years at the periphery of clinical practice, has moved into the psychotherapy mainstream. Most therapists these days recognize that the body holds onto pain or fear. Most are familiar with how traumatized clients often present with somatic complaints, and with how a lack of touch can frustrate primal needs for connection. Modern therapists who ignore the body in practice are now, more than ever, challenged by the increasing acceptance of the idea that purely verbal approaches are insufficient to address the full impact of trauma. A big leap forward for somatic approaches came in the ’60s, ’70s, and ’80s, with the publication of bestselling books like The Relaxation Response by Harvard doctor Herbert Benson, The Relaxation and Stress Reduction Workbook by Kaiser Permanente’s Martha Davis, and The Complete Illustrated Book of Yoga by Swami Vishnudevananda, all of which touted the benefits of engaging the breath and calming the body. As interest in relaxation, meditation, and yoga entered into an even wider cultural consciousness, the taboos about integrating clients’ physical self into therapy were slowly chipped away, challenging the belief that focusing too much attention on the body might scare clients off and muddle the therapy process. The work of innovators like Moishe Feldenkrais, Ilana Rubenfeld, and Al Pesso developed somatic approaches that gave body-based approaches further visibility. 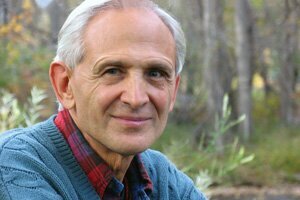 Perhaps the most influential figure in educating the general public about the mind-body connection was Jon Kabat-Zinn, a professor at the University of Massachusetts Medical School, who’d studied with Thich Nhat Hanh and other Buddhist teachers. Downplaying their spiritual dimension, Kabat-Zinn couched the benefits of mindfulness and meditation in scientific terms and brought a secular perspective to the use of Eastern mind-body practices. His appearance on Bill Moyers’ wildly popular documentary Healing and the Mind, and the development of his eight-week mindfulness-based stress reduction course, were milestones in taking what were once considered mysterious practices into the cultural mainstream. Meanwhile, developments in brain science and the advent of imaging techniques were making it clear how “embodied” the mind is. Contributors like Daniel Siegel and Alan Schore began introducing therapists to the clinical relevance of and interconnection among brain development, healthy attachment, and the biology of the human nervous system. The study of what Siegel called interpersonal neurobiology gave therapists a new perspective on the way our most important relationships fire into being the neural circuits of the brain that allow us to understand and empathize with others and feel their feelings. It became increasingly clear that brain and body were not only unquestionably connected, but working together to process emotion and cognition, and responsible for the miracle of human consciousness. But the most direct therapeutic application of the mind–body connection has come from the field of trauma treatment. As Bessel van der Kolk, author of the bestselling book The Body Keeps the Score and one of the prime movers in establishing the scientific foundations of body-based therapy has put it, the imprint of the trauma doesn’t sit in the verbal understanding of the brain but lies in much deeper regions—amygdala, hippocampus, hypothalamus, brain stem—which are only marginally affected by thinking and cognition. People process their trauma from the bottom up—body to mind—not top down. For therapy to be effective, we need to do things that change the way people regulate these core functions, which doesn’t usually occur through words and language alone. Arguably, over the past two decades, the advent of bottom-up psychotherapy—fueled by a range of clinical, scientific, and cultural developments—has been the most influential movement in the field of psychotherapy to date. Today, no body-based therapy has gained more proponents than Levine’s. His first book about Somatic Experiencing, Waking the Tiger: Healing Trauma, has gone on to sell a quarter of a million copies. At present, more than 12,000 people on six continents have been trained in SE, and there’s even been a randomized control study that supports its claim to effectiveness with PTSD. While informed by Reichian concepts that the body holds emotion and trauma that needs to be attended to and released, SE’s techniques are designed to be subtler and quieter, not unlike the man who originated them. Rather than seeking some sort of physical catharsis with clients, Levine proceeds more gradually, helping them first adjust to accessing their trauma-related body sensations by using methods like what he calls pendulation, the gentle shifting of focus between disturbing sensations and feelings, and positive memories and body states. This exploration of the somatic residue of trauma doesn’t require prolonged immersion in dysregulated states or a focus on traumatic memory itself. His goal is to help clients, little by little, find new ways to regulate themselves, as they find both physical and emotional release. So how do you train therapists who’ve relied on talk as their primary clinical tool to shift into body-based approaches? Watching Levine work raises the question of whether he relies more on his keen attunement to the subtleties of body language and practiced ability to enhance his clients’ somatic awareness, rather than on any therapeutic road map he can relay to the rest of us. Levine insists that talk therapists, many of whom can be as disconnected from their bodies as their clients, need first to trust their own bodies and study their own sensations if they ever hope to be adept at this kind of work. They need to align with the client on a deep level, to the point that their own sensations will shift along with a client’s. At a time in which online counseling and mental health apps seem to be offering clients a therapy experience shaped entirely by disembodied talk, a slower, older movement grounded in the body is gathering steam of its own. It’s calling therapists and clients to go beyond their lonely keyboards and tune in to the expanses of innate bodily wisdom. And for Levine, now acknowledged as one of the most respected pioneers in a form of therapy once considered taboo, one can imagine that a benefit of his life’s work is that it allows him to feel the field’s newfound embrace very deeply inside him. Thank you for this overview of the history of a somatic orientation to trauma therapy, and due respect for the work of Peter Levine in helping move the body to the forefront of psychological treatment. Many body approaches of the 1960s were oriented to cathartic expression; the positive shift toward a more nuanced, carefully-paced, neuroscience-informed and relational approach has been part of what made the movement toward mainstream therapy possible. Bioenergetic analysis has also changed with the times, currently offering a somatic psychotherapy that is firmly based in supporting clients to appropriately process experience from a grounded, connected stance, Training in bioenergetic analysis requires many hours of personal bioenergetic therapy, ensuring that therapists have a deep somatic self-knowledge that is needed to be able to be present with all that clients present. BIoenergetics offers an entire psychology of the person that includes but goes beyond traumatic experiences. This framework means that modern bioenergetics therapists can work effectively with structural aspects of the self, as well as supporting symptom relief. We can celebrate our current orientation to the body in psychotherapy and honor those who have made this possible. It is also helpful to notice that some of the older therapies, such as bioenergetic analysis, are not only historically important, but also have contemporary value. Modern bioenergetics has much to offer. Would be interested in some training in SE methods and body psychotherapy..Am based in Dublin.